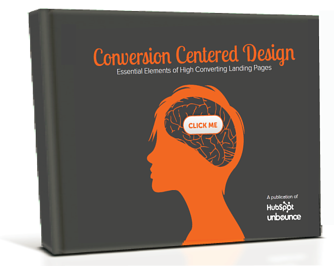 On average, marketers see a 10% website conversion rate on landing pages. Now think about all those missed opportunities with the other 90%! How can you optimize your landing pages to increase your conversion rate and ultimately generate more customers? You need to focus on designing for conversions. Learn how to beat the average and use design to help increase your landing page conversion rates using conversion-centered design. This guide, brought to you by Unbounce, will teach you everything you need to know about conversion-centered design (CCD) and the critical role that design and psychology play in increasing conversions.